Balkan Computer Congress is an annual three days gathering of the international hacker community in the organization of LUGoNS – Linux Users Group of Novi Sad and Wau Holland foundation from Hamburg. The first part of the program has been envisaged to be a set of presentations, workshops and lectures on the current topics regarding privacy, technology, software development, free software & socio-political issues. Hands-on projects and hacking have been planned for the second part of the program. 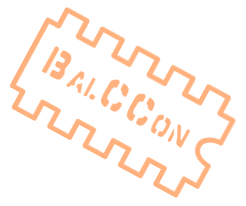 Online submissions only: All submissions of lectures and workshops have to be entered into our conference planning system, which is located at the following URL: https://frab.balccon.org/en/balccon2k16/cfp/session/new. Please follow the instructions there. If you have any questions regarding the submission, you are welcome to contact us via e-mail at orga (at) balccon.org.